"The process of education occurs in the context of an initiation into communio, into a community of relationships extending through time, which is also the lived experience of a cultural tradition." The Catholic school finds its true justification in the mission of the Church; it is based on an educational philosophy in which faith, culture and life are brought into harmony. . . . 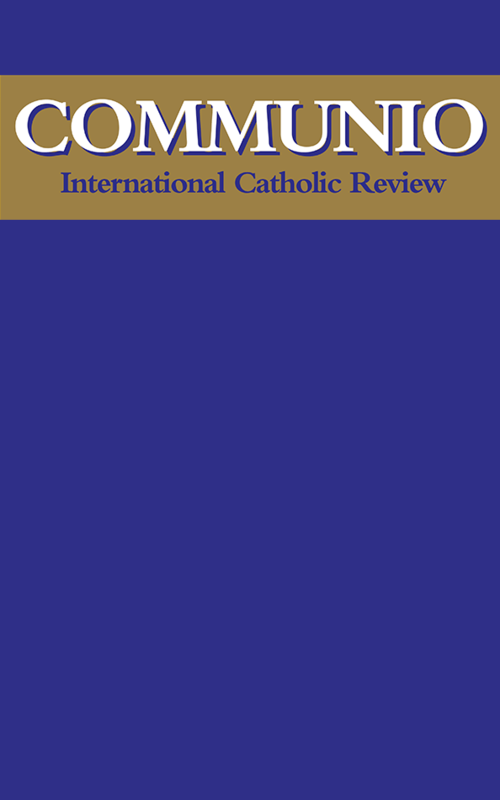 The special character of the Catholic school and the underlying reason for its existence, the reason why Catholic parents should prefer it, is precisely the quality of the religious instruction integrated into the overall education of the students (The Religious Dimension of Education in a Catholic School, Congregation for Catholic Education, 1988, paras. 34, 66). A Catholic school can only bring faith, culture, and life into harmony by putting God at the center of the curriculum. God is the unifying principal of all human knowledge, and of all human society, including the community of the school itself. The decline of our culture can be traced by to the moment (if it was a moment) when we lost sight of this unifying presence. An attempt was made in universities and schools to eliminate the sacred, to comprehend the world while leaving God out of account. The secularization of education meant the rise of the Machine as the supreme archetype of our civilization. At the same time, the dissolution of a shared tradition of discourse into a plurality of disconnected disciplines, each with its own special language and its own narrow goals, followed inevitably from this initial schism. The "connecting principle" of the culture had been lost, and under new conditions it became impossible to communicate universal values to succeeding generations. Recently, however, a way to reconnect the fast-dissolving components of our culture has begun to suggest itself. A series of developments in theology during our century have enormous implications for the philosophy of education.